Spring has definitely arrived in Holland - and the weeds & nettles are growing like crazy. We have a massive infestation of crabgrass and buttercups are running rampant. Keeping up with the weeding seems to be an impossible task! Last year we spread out a *lot* of bark chips - about 4 inches deep - across the main flower beds. 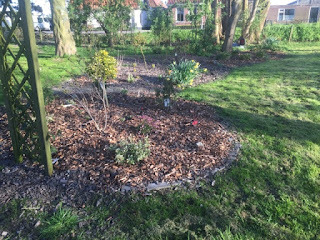 We didn't do any great amount of weeding and I expected to be having to do lots and lots and lots this year. Surprisingly, it's actually not been bad - and even nettles seem to have died back. 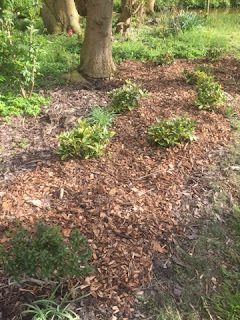 I am wondering if this is going to be the magic organic solution I've been looking - using mulch layers to kill off the large amounts of weeds we are still tackling. 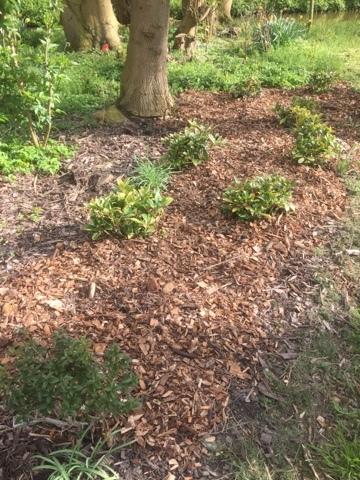 With 5 cubic square metres of bark chips, I might just make it around 2/3rds of the garden again. Definitely will make it onto the to-do plan. Sadly it didn't work on the buttercups - they have just come back ever more enthusiastically than before. 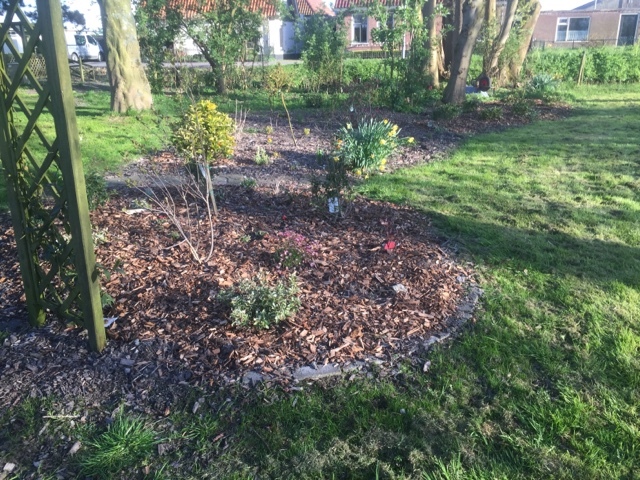 Today, I had a go at shifting the buttercups and crabgrass in the main beds - 6 loads of weeds out, 15 loads of bark chips in and things are starting to look quite pretty! I will need to add a lot more layers, but I don't think I can push any more wheelbarrow loads without collapsing in a heap today. Trying to get every single buttercup root bulbs is remarkably hard with gloves but hopefully there's been a high hit rate and we won't have such a flourishing colony later in the year. 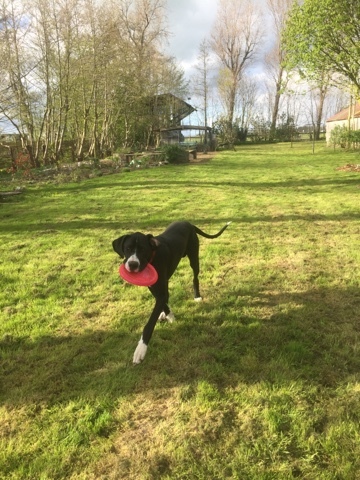 Luca had a wonderful day chasing the frisbee around the garden, in between weeding stints. 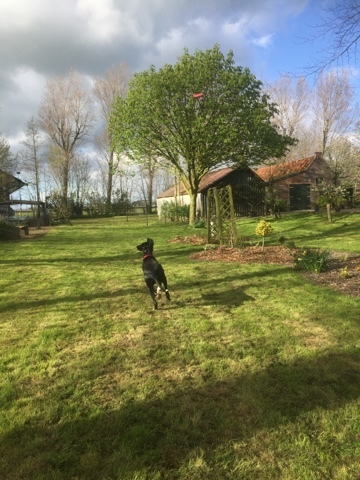 He hasn't quite got the hang of 'give' but he definitely worked out 'fetch'! 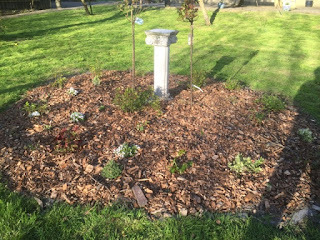 'One year's leaving; seven years' weeding.' You're in for the long haul.